Whittier is a neighborhood in Minneapolis' near south side, south of Downtown Minneapolis. It is one of Minneapolis' oldest and diverse neighborhoods, with many charming old buildings, and ethnic restaurants and markets. Whittier is bounded by the bounded on the north by Franklin Avenue, on the east by Interstate 35W, on the south by Lake Street West and on the west by Lyndale Avenue South. Whittier is named for the poet John Greenleaf Whittier. The first residents settled Whittier in the mid-19th century. Wealthy merchants built mansions on what was then the edge of town and is now the Washburn-Fair Oaks Mansion District. This area, centered around Fair Oaks Park and the Minneapolis Institute of Art contains many impressive homes. In the early 20th century, middle-income families began moving to the area and many multi-family residences were built. The area grew steadily with the growth of the city until the population peaked in the 1950s. In 1977, the Whittier Alliance, a coalition of residents, businesses, religious, and community organizations was created to revitalize the area. The work of the Whittier Alliance has successfully to lowered crime levels, increased a sense of community, supported local businesses, and created and promoted "Eat Street". Wealthy families still inhabit the grand mansions, and many beautifully restored grand Victorian houses line Stevens Avenue. About half of the dwellings in the neighborhood are multi-family units. Almost 90% of housing is occupied by renters. Whittier refers to itself as an international neighborhood, and the population is much more diverse than Minneapolis as a whole. The area is approximately 40% Caucasian, and home to Chinese, Vietnamese, Somali, Hispanic, Caribbean, and Black populations. Despite the current fashionability and the new wealthy residents, many parts of Whittier still have above-average crime levels. Homelessness is a problem in the area. Ironically, many of the homeless population inhabit Fair Oaks park, surrounded by the area's grandest homes. A larger percentage of people live in poverty in Whittier than Minneapolis, although that number is gradually reducing. The Minneapolis Institute of Arts, The Minneapolis College of Art and Design, The Children's Theater Company, The Jungle Theater, The Washburn-Fair Oaks Mansion District, and the Hennepin History Museum are in Whittier. Many independent businesses call the area home, like Moxie hair salon and art gallery. Several Asian and Mexican grocery stores are here, and the well-known Wedge Co-op is on Lyndale Avenue in Whittier. Eat Street is 13 blocks of international restaurants, coffee shops and markets on Nicollet Avenue, from Grant Street to 29th Street. 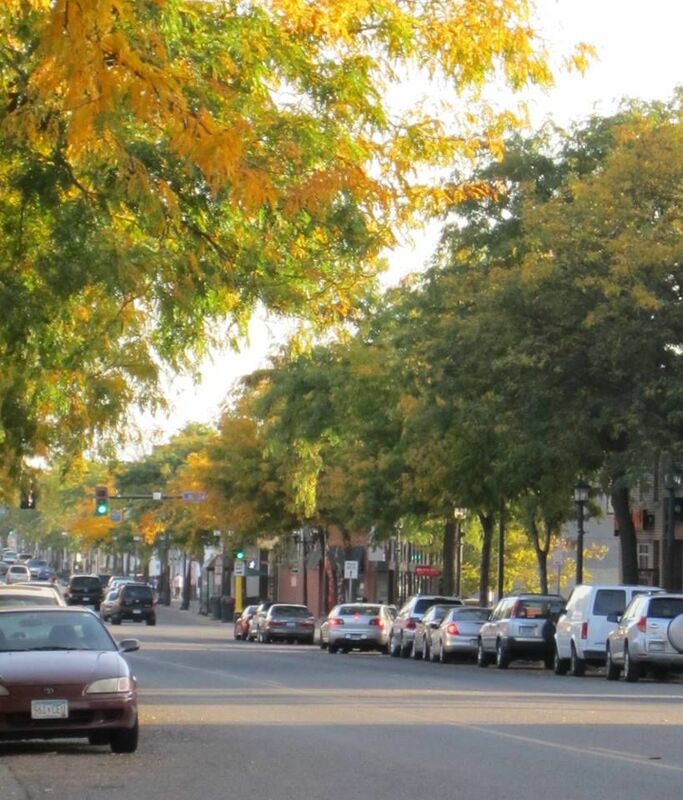 The Whittier Association branded the area as Eat Street in the 1990s, and it is the Twin Cities' most popular dining destinations. African, American, Asian fusion, Caribbean, Chinese, German, Greek, Mexican, Middle Eastern, and Vietnamese restaurants cater to all taste buds and budgets. Popular restaurants on Eat Street are Little Tijuana, a Mexican cantina, and The Bad Waitress, an American diner.